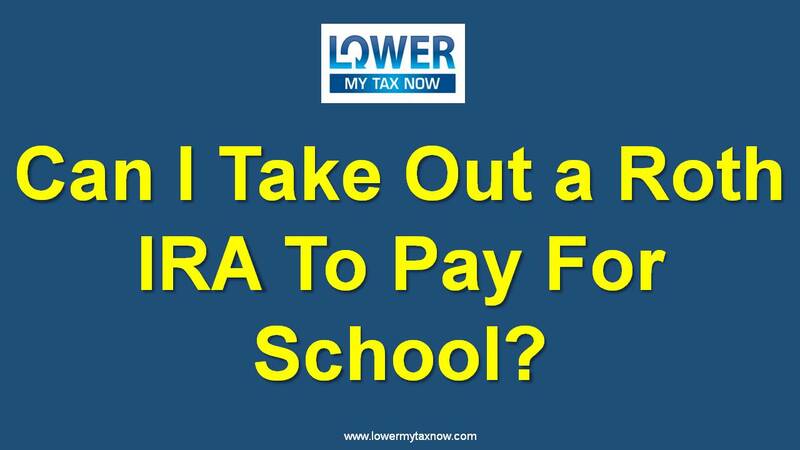 Can I Take Out a Roth IRA To Pay For School? Can I take out an early Roth IRA distributions to help pay for my son’s college education without a tax penalty? 1. 5-year holding period. You need to meet the 5-year holding period requirement. This once-in-a-lifetime satisfaction rule is only needed for the first Roth IRA contribution that you made. Any subsequent contributions will not start a new holding period. That’s huge! So what is the tax strategy? You need to open up a Roth IRA account ASAP so the 5-year clock starts ticking! Please note, that this is not a complete list, but just a sample of some of the exceptions. So to answer your tax question, you met the 10% tax penalty exception. However, you need to inquire about your first Roth IRA contribution date to confirm if you met the 5-year holding period. And if you did, congratulations! Tax-free is my favorite tax word!